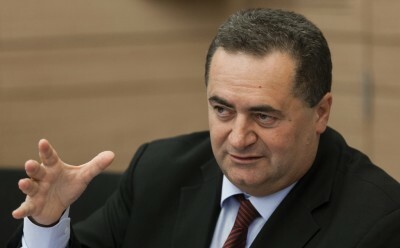 But the apogee same yesterday when Transportation Minister Israel Katz [image left] called for the “civil targeted killing“of BDS leaders like Omar Barghouti. The phrase he used (sikul ezrahi memukad) derives from the euphemistic Hebrew phrase for the targeted killing of a terrorist (the literal meaning is “targeted thwarting”). But the added word ” civil” makes it something different. Katz is saying that we won’t physically murder BDS opponents, but we will do everything short of that. 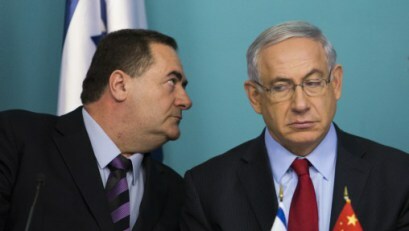 We are entering dangerous territory when an Israeli cabinet minister engages in wordplay that verges on putting a bull’s-eye on the backs of non-violent activists. If there are Israel apologists out there who dismiss the significance of such rhetoric they are sadly mistaken. In this torrid political environment in which Israeli leftists have become criminals and wounded Palestinian youth may be summarily executed in the street, it is only too easy to forsee Palestinian activists like Barghouti having a bounty on their heads. 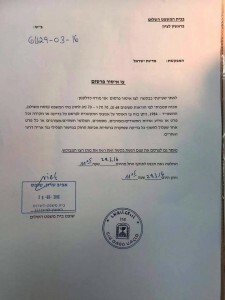 Israel’s major concert promoter, Shuki Weiss, who plays a major role in combating the cultural boycott against Israel, complained at the Yediot conference that Deri’s interior ministry was demanding that international artists wishing to perform in Israel sign a loyalty oath in order to obtain a visa. The ministry immediately denied the claim. And concert promoters aren’t known for being fonts of truth. So it’s hard to know what’s the truth in this context. But given how extreme this government is and how petty its leadership, it’s not hard to believe a ministry official would think it was a terrific idea to pressure Elton John to sign a loyalty oath before permitting him to step foot in the Holy Land.